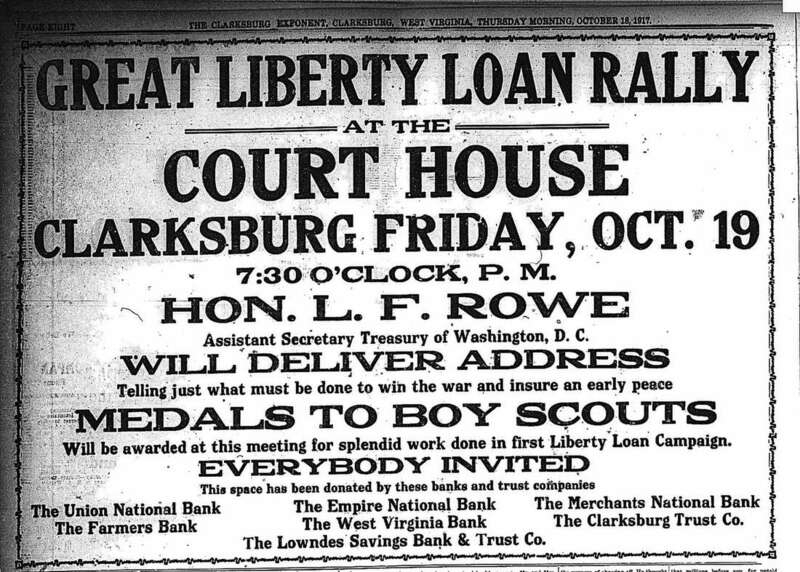 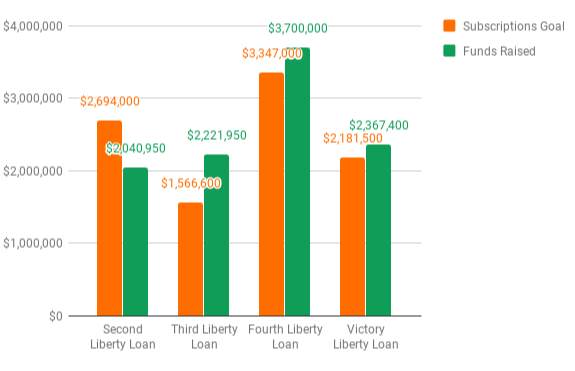 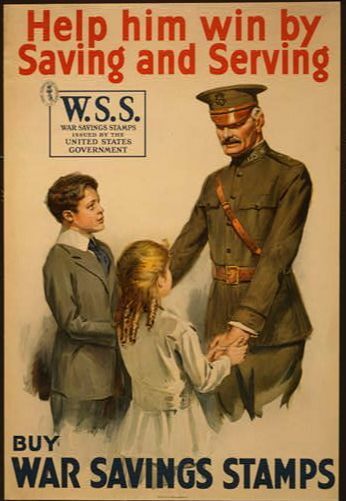 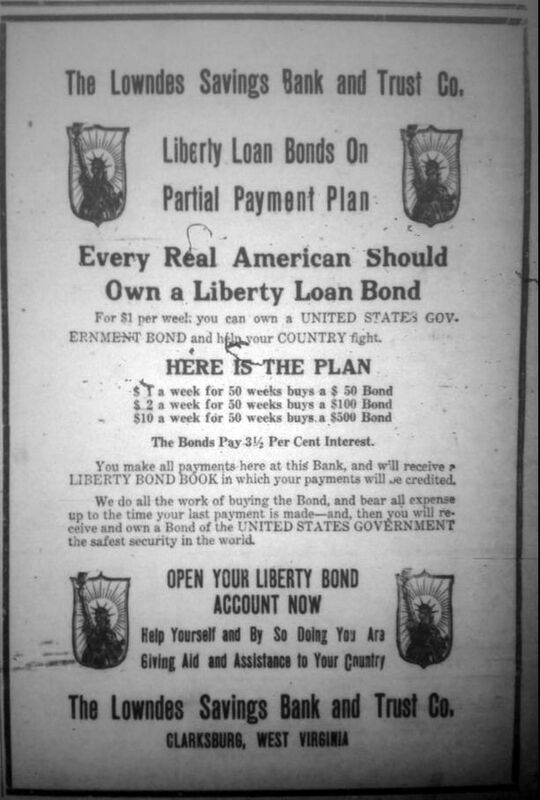 Liberty bonds or liberty loans were war bonds sold in the U.S. to support the allies in World War I. Subscribing to the bonds became a symbol of patriotic duty in the United States. 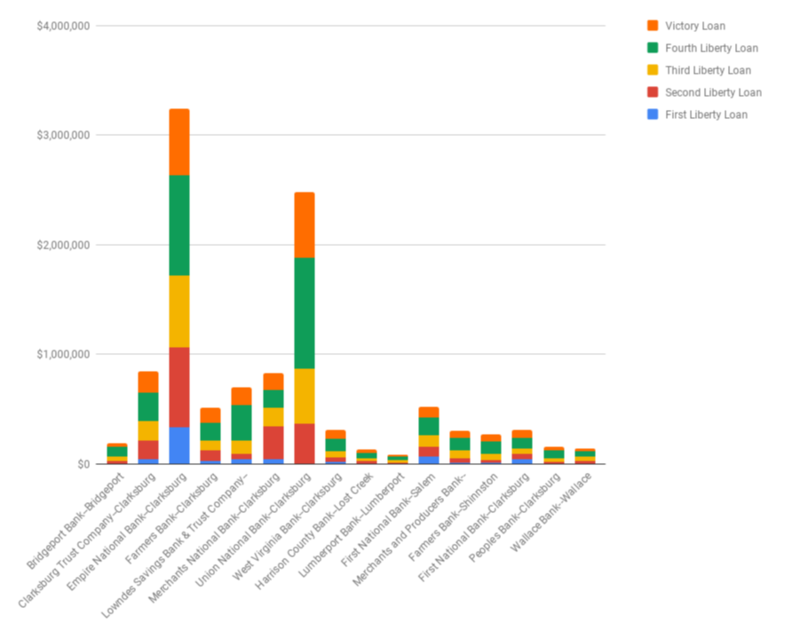 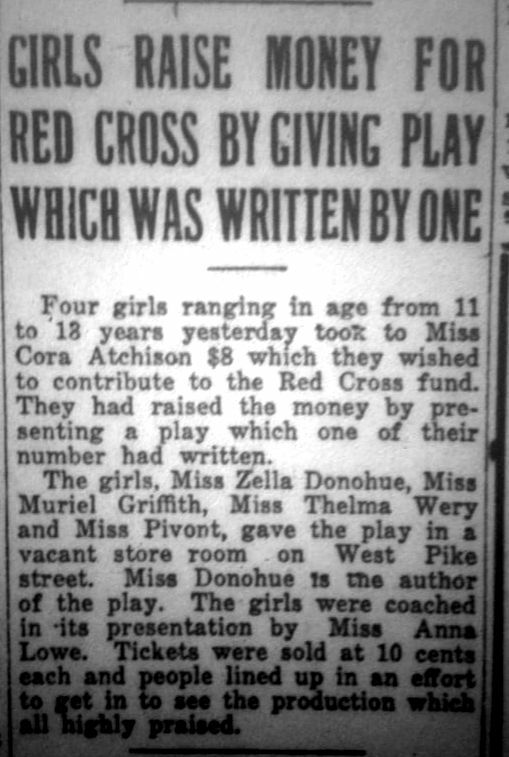 Many of these fundraising drives were headed by local women’s organizations. 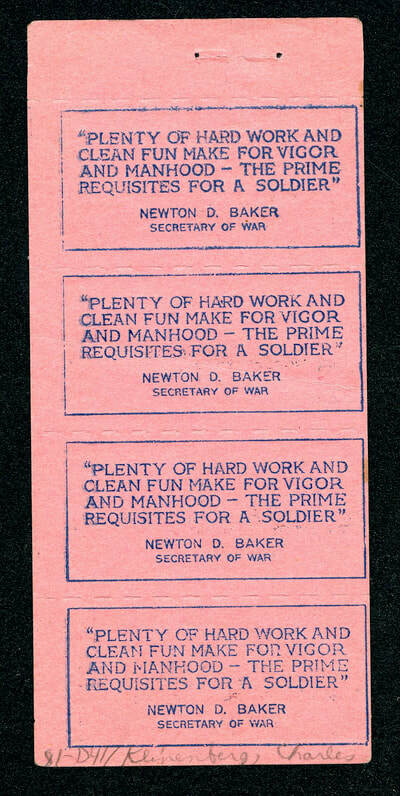 To learn more about women’s contributions to the home front click HERE. 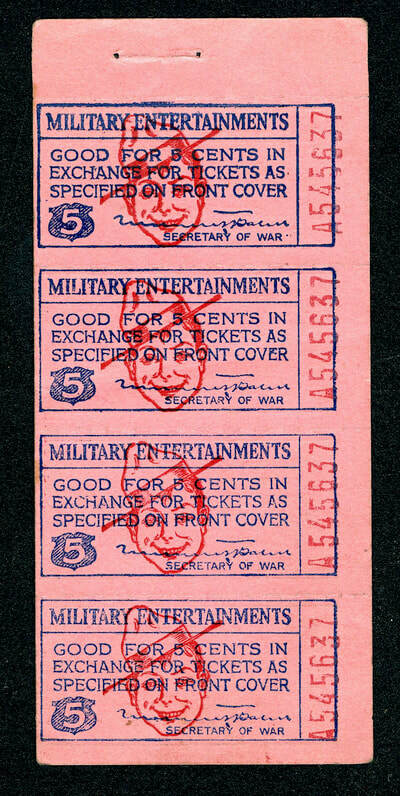 War savings stamps were issued by the U.S. Treasury Department to help fund the war. 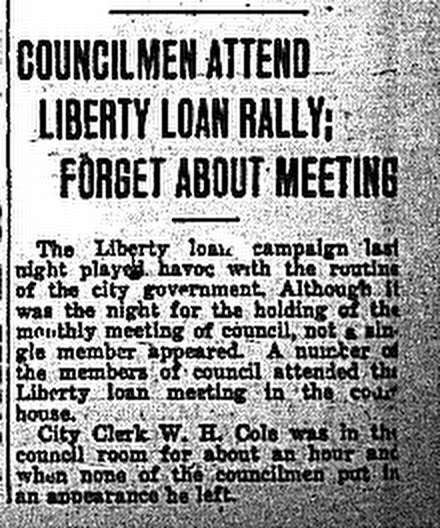 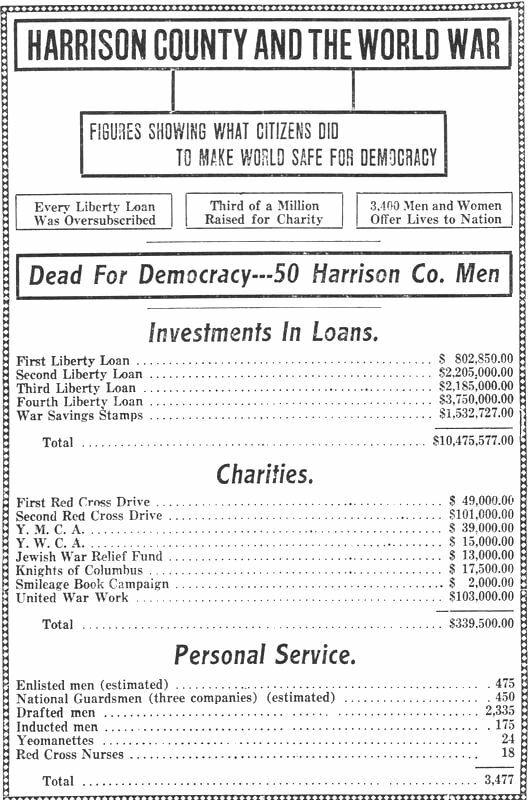 This fundraiser differed from Liberty Bonds because stamps were purchased more often by citizens where the bonds where purchased by banks. 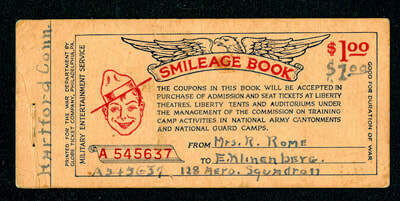 Sales of War Savings Stamps -- Harrison Co.
Smileage Book Campaign was a fundraising event that allowed the public to purchase coupon books that they would then send to soldiers at training camp. 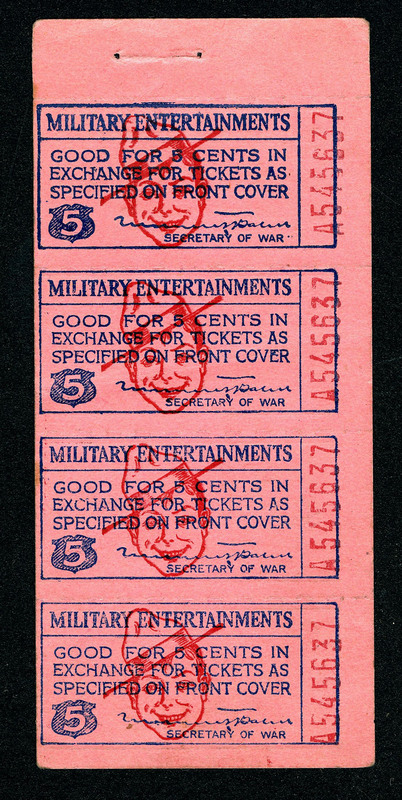 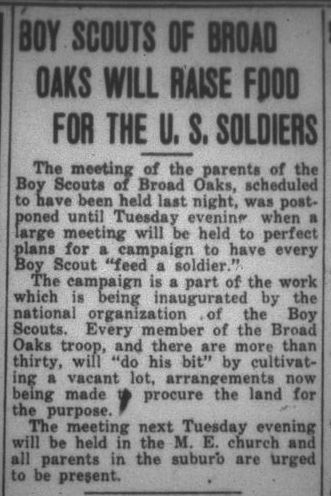 The soldiers would in turn be able to use the tickets to attend events. 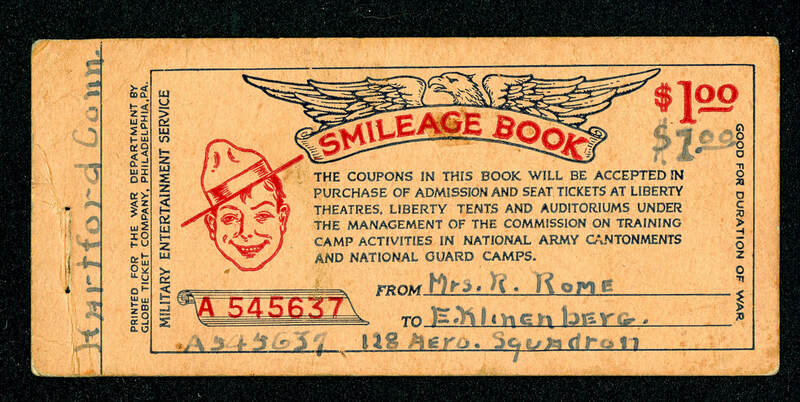 It was created by the War Department Commission on Training Camp Activities to provide “morally uplifting” and “wholesome” entertainment, including plays and later motion pictures.